Back Office: Managing your business is now easy! To make life simple we’ve placed key business data in easy to find summary pages. Every time you visit your back office you will get an overview of your business performance. Create items and menu items with modifiers, sub modifiers, toppings and recipes. 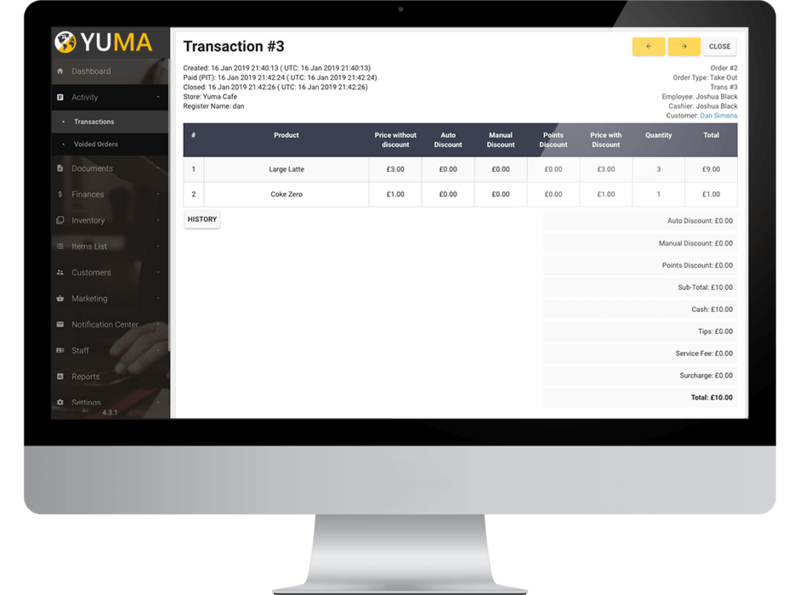 Define different set of items and prices for different stores of your chain. Manage changing daily menu with a few clicks. 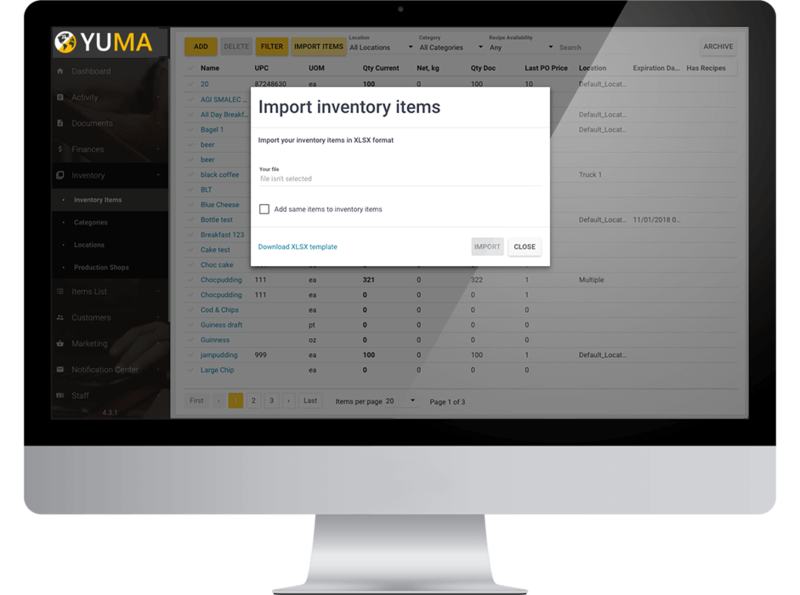 Control your inventory level by locations, create purchasing orders, receive and return items, do full inventory audit or just one item quantity adjusting. All inventory items are automatically reserved and deducted at the moment of sales. Run your inventory easy and carefully. Get access to full list of your customers, know each your customer information, purchasing activity. Group customers manually or create automatic groups. Apply individual promotional campaigns, awards and discounts for specific groups of customers. Notify them via email, push notification and even SMS. Create smart promotional campaigns with various terms and automatic awards and discounts. Create big campaigns for everyone and highly individual for different groups of your customers. Award points to customers and bonuses to employees. Manage gift cards and standard manual discounts. 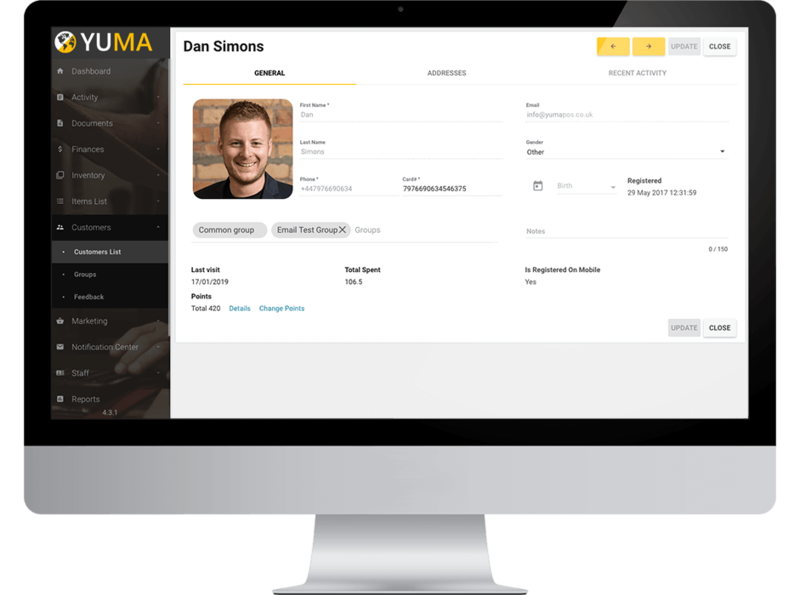 Manage your staff, their roles, access level to different sections in back office, stores and even specific functionality in POS Terminal. See every employee timesheet. Create schedule for each store.